>>How much Muscle can I build Naturally? We have 2 simple tools to calculate what is the maximum muscle you can put on while naturally. First, calculate your rough body fat. You can use this link: US Navy Body Fat Calculator. We find this is generally accurate for most people. Based on your numbers, you can see how much more you can gain towards a natural FFMI. Of course, this does not mean those with FFMI below 25 is not on steroids, it just says that those with FFMI of above 26 is highly likely to be on steroids or have a good genetic disposition. Those who are above 29 are almost definitely on steroids. We do not think that people who take steroids are bad. That is their body and their personal choice. However, we think it is unfair if fitness personalities claim to be natural, and endorse supplements which would mislead the general public that with effort and supplements, their physique is achievable. Hence, you can use this calculation method to see if your fitness idols are on juice, or probably natural. So if you are a teen looking to bulk up, please set your expectations properly. 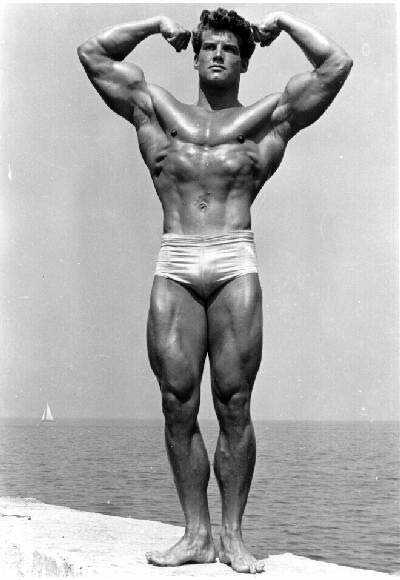 If you workout hard, have flawless nutrition, and have the gift of perfect genetics then you can look like Steeve Reeves naturally – but it will take years, count on 5-10 years. Very few people have flawless genetics like Steeve Reeves did so dont even count on half his results.